JNN 03 May 2014 Kuala Lumpur : The past fall, the Universiti Sains Malaysia (USM) held a seminar entitled “Confronting the Syiah Virus” (“Syiah” is the Malaysian word for Shia). At the event was Malaysia’s Home Ministry Security and Public Order assistant secretary Zamihan Md Zain Al-Ghari, who according to the Sun Daily said “there [is] an immediate need to stop the [Shiite] teaching[s].” The Anti Shia Alliance convention was held just a few short months later, and expressed similar viewpoints to those espoused in the seminar. Tardjono Abu Muas, head of the Anti Shia Alliance, told the Jakarta Globe “Our government should be like the Malaysian government,” referring to Malaysia’s unprecedented crackdown on Shiite beliefs and practices in the latter country, and Al-Ghari’s remarks. Malaysian Shiites are not being accused of actual militant tendencies or viewpoints, instead Inspector General Abu Bakar is declaring a policy viewpoint of regarding Shiites as militant when their popularity reaches a certain level. Last month, Malaysian authorities arrested several infants and small children, amongst others, in a crackdown after a celebration commemorating Zainab bint Ali, granddaughter of Prophet Muhammad. Photos were widely circulated, and the Malaysian government was criticized for diverting resources to a sectarian witch-hunt, rather than search for the missing Malaysian Air flight. Malaysian Home Minister Ahmad Zahid Hamidi has refused to entertain talks on the topic of Sunnism and Shiaism, believing them to be irrelevant and unproductive. “There is no need for a dialogue because it has nothing to do with human rights. What is there to discuss?” he told Free Malaysia Today (FMT) News, possibly giving insights into his viewpoint on Shiites. Earlier this year, a retired Islamic scholar, or “Imam” was arrested for having possession of Shia texts, which Malaysian authorities view as illegal. This week, immediately after speaking with Malaysian Prime Minister Najib Razak, President Obama told press reporters “More work needs to be done” regarding Malaysian human rights abuses. The Sun Daily cites that the population of Shiite Muslims in the country is more than a quarter million individuals. 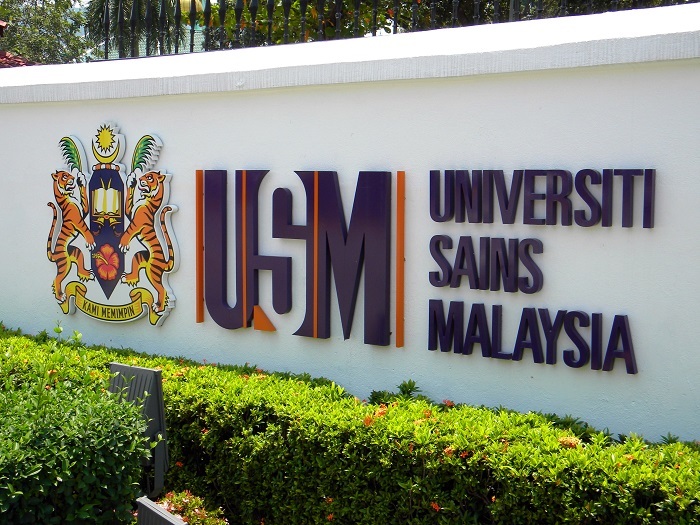 While ranked the number one university in Malaysia, the school is only at a rank of 582 in the world. Many of Malasyia’s colleges are in the bottom 10,000th tier of schools around the globe. 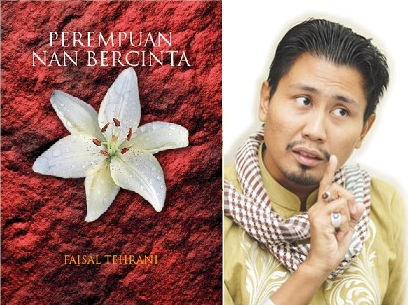 A book launched by Prime Minister Datuk Seri Najib Razak with much fanfare in 2012 by renowned local author Faisal Tehrani was banned by the Home Ministry last week, for purportedly promoting Shia teachings. While Home Minister Datuk Seri Ahmad Zahid Hamidi, in a gazette dated April 22, did not relate the ban to Shia contents, he said “Perempuan Nan Bercinta” was “likely to be prejudicial to public order”. Najib, when launching the 410-page Malay-language book along with other titles in 2012, had said that novelists have the freedom to write in the country. The book was published by Institut Terjemahan dan Buku Malaysia (ITBM), and printed by Percetakan Nasional Malaysia Berhad, both government-linked companies. Faisal (pic) told The Malaysian Insider that he was not sure why the ministry had decided to ban his novel now. “I did hear then that Jakim (Islamic Development Department of Malaysia) was investigating complaints that it has Shia-related content,” he said. Faisal is no stranger to controversy as two of his earlier novels and a play were also probed by religious authorities although they were not banned. “I have to say that I am proud that my book is now in the league of books by George Orwell, John Milton and Voltaire,” he said, referring to famous Western philosophers whose writings were once banned in their countries. Faisal, a Fellow at the Institute of the Malay World and Civilisation in Universiti Kebangsaan Malaysia, revealed that this was the first “serious novel” to be banned in the country since the British banned Putera Gunung Tahan by Pak Sako before Independence. “And now that book has become the literature text in schools in a few states,” he added. The novel, like most of Faisal’s writing, champions the rights of the oppressed. The story is about a professor who becomes friends with a human rights activist and they both debate and have discussions on various issues. “And the professor’s views are non-mainstream Islamic views, which could have sparked the investigation by Jakim. “But there are books out there in English on Shia which are not banned, so I do not understand it at all,” Faisal said, calling it a violation of human rights. He said that he would seek the advice of his lawyers over the ban but declined to elaborate. Putrajaya has been targetting Shia Muslims in a campaign spearheaded by the government’s religious officers and Umno leaders, with state television channels and mosques preaching to Malaysia’s mainly Sunni Muslims on the dangers of Shiism, the second largest school of thought in Islam. This entry was posted in Asia Pacific and tagged Anti Shia Alliance, Anti Shia Conference, Datuk Seri Najib Razak, Faisal Tehrani, Home Ministry Security, Indonesia, Malaysia, Malaysia Islamic Development Department, Malaysian government, Malaysian Insider, Shia Islam, shiite muslims, Sun Daily, The Sun Daily, Universiti Sain Malaysia, Universiti Sains Malaysia. Bookmark the permalink. SUNAMIS, EARTH QUAKES, FLOODS AND RECENT AIR DISASTER WITH SO MANY LIVES IS ONLY A WARNING FOR THOSE WHO ARE SENSITIVE .’BUGHZ RASOOL AND HIS AHLEBAYT (A S )AND THEIR FOLLOWERS WILL NOT ONLY TAKE YOU TO JAHANNUM IN YOUR HEREAFTER O YAHOODI WAHABI MALAYS AND INDO NESIANS YOU ARE GOING TO SUFFER MORE AND MORE IF DO NOT MEND WAYS , YOU FOLLOWERS OF MOAVIAH MALOUN, FASIQ O FAJIR YAZEEDS , IBNE TAIMIYYAH AND AB DUL WAHAB . BEWARE THE FAMILY OF AAL E SAUDS . DOOM IS VERY CLOSE .